In this article I want to give brief introduction about APIGEE. Mainly APIGEE offers below functionalities out of the box as api gateway. APIGEE sits between service consumers and backend services. 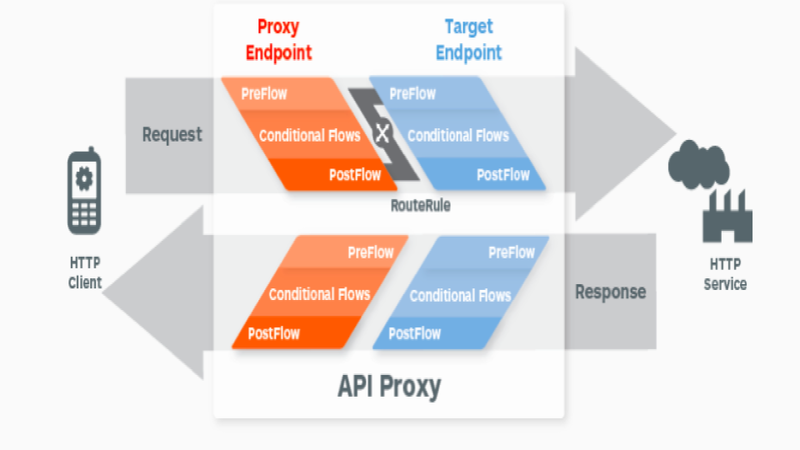 As an API gateway, APIGEE takes care of common functionalities required for the APIs. Hence backend services can concentrate only on the core business logic. The below digram depicts where exactly APIGEE fits. Now we will see how the request and response goes through APIGEE. Every client request will go through proxy and target endpoints where we will attach APIGEE policies. Policy is nothing but a simple module which will provide common API functionality which we can configure using XML. In each flow APIGEE exposes lot of flow variables. Below are list of policies available out of the box which you can attach to proxy and target flows. If you want to experience APIGEE edge, follow below steps to create trail account. Goto https://login.apigee.com/sign_up. Enter the required information to create account with APIGEE. ‹ APIGEE – Can we configure parameters for Message Logging Policy?